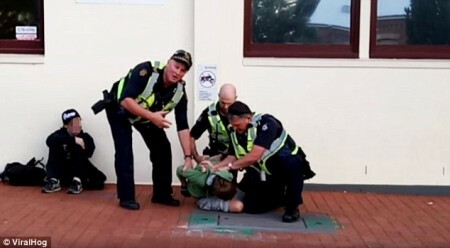 It is understandable and appropriate that we are seeing widespread community outrage about the video taken on Friday showing a twelve-year old boy being physically held down by two police members and a Protective Services Officer outside the Bendigo Train station (Victoria). Every parent viewing the video would be worried about their child coming into contact with police. In fact the woman taking the original now-viral video expressed her disgust at the actions of police as a parent. 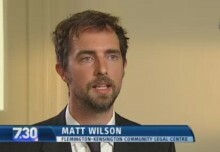 The community have a right to expect police to treat all children with dignity, respect and the greatest possible care. Victoria Police needs to respond to community expectations and their training and practices should reflect community standards. 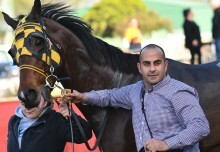 We note that Victoria Police have already stated that the use of force was justified. As usual we point out that these statements pre-empt any sort of investigation into the incident and that the lack of independence in any internal review remain a key problem. Having armed PSOs at public transport stations now means that many incidents involving children can end up in harmful use of force scenarios. We have seen many cases like this since transit PSO’s were first rolled out in 2011. One such case was when two children ended up being pepper-sprayed by PSOs for not having valid train tickets. (Story of a ‘Pepper spray party’). An IBAC report in 2016 highlighted the extent of reported assault and excessive use of force by PSO’s. The report reviewed complaint and use of force data relating to transit PSOs and identified key areas of risk in relation to their conduct including assault and excessive use of force and predatory behaviour involving members of the public. 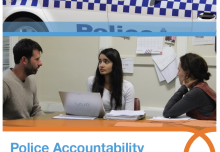 The Victorian Auditor-General’s Office conducted an audit of the effectiveness of the PSO program in 2016 and found that there is insufficient data to assess the impact, if any, that PSOs have had on crime rates. It is distressing to watch a young twelve-year old being forcibly restrained like this. Police were holding a young child in a contorted, painful position and speaking aggressively to him. He tries to say something “All I did was…” and is told to ‘Shut up!- You had you chance.” He can be heard sobing. Young children and other vulnerable people often panic when touched or grabbed by police and then commonly, police apply greater levels of force which quickly escalate into dangerous restraint holds or worse. Many incidents like this can be avoided if police focus on calm, respectful deescalation approaches that are practiced by youth workers and mental health professionals. These approaches focus on relationship rather than authority and force. Community workers respond to distressed and disobedient young people every day without using force or restraints. If PSO’s or police approach situations aggressively it is very predictable that horrible scenarios like this play out and a physical force like this should only be applied in the most extreme of circumstances. 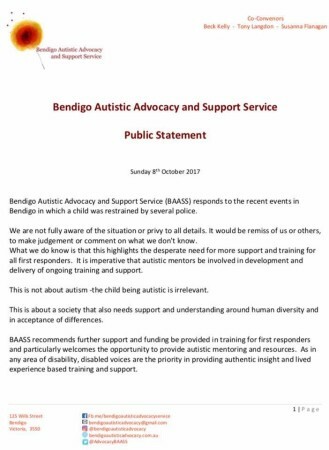 Beck Kelly, from the Bendigo Autistic Advocacy and Support Service (BAASS) was reported to have said that while the video showed only a snippet of the incident, it suggested police needed training in de-escalating such situations. Restraint was not an appropriate measure, she said, as it could lead to trauma and inform a child’s aversion to police. They have put out a statment saying: “What we do know is that this highlights the desperate need for more support and training for all first responders. It is imperative that autistic mentors be involved in development and delivery of ongoing training and support. BAASS recommends further support and funding be provided in training for first responders. As in any area of disability, disabled voices are the priority in providing authentic insight and lived experience based training and support. Yes – that’s very true. But critically evaluting incidents, and looking seriously at how things could have been done better, is how all good organisations, agencies and professionals learn. It was originally reported that the child had autism. “He’s got autism so you don’t understand,” one officer can be heard saying in the video. Victoria Police later told media that the boy does not live with autism and the circumstances of the misperception are unclear. A link to the original Facebook Video is here.